Missed the PBDG Trailer at CAX? Catch it in Australia Instead! 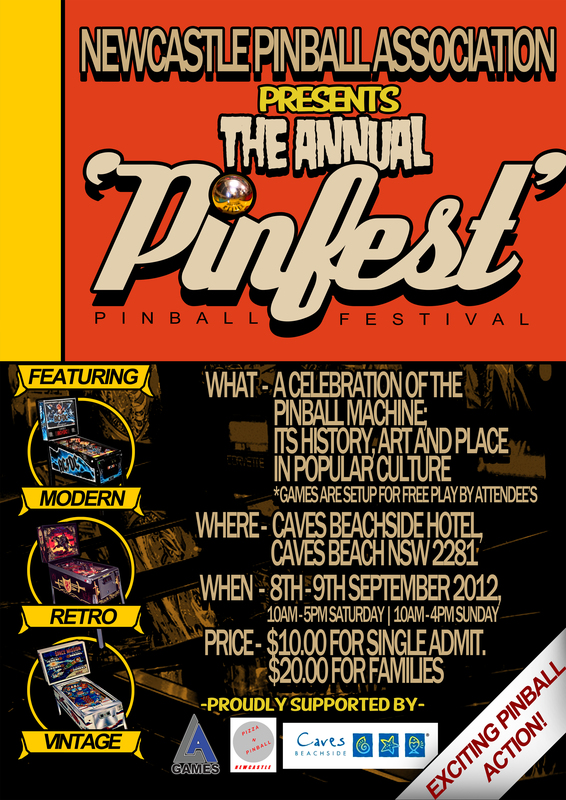 Newcastle Pinball Association is having their first annual Pinfest September 8-9, and you can bring out your whole family for free game play at one low admission. Jady, one of the organizers, tells me they will have tons of cool games, from the new AC/DC pin to vintage pinball machines. Oh, yes, you can also see hi-res versions of the Pinball Donut Girl trailer and the teaser for Wade Krause, Pinball Artist. This entry was posted in News, Pinball People, Pinball Shows, Vintage Pinball and tagged australia, film, newcastle pinfest, pinball, pinball festival, pinball shows, travel by Anna Newman. Bookmark the permalink. Jady, I hope the show is a huge success. I wish I could attend!